5 star luxury Alaska fly fishing lodges are hard to come by. Alaska Sportsman’s Lodges are by far your best choice fro all inclusive luxury and expert fishing. Our guests get the opportunity to explore the fishing waters of the Bristol Bay region of southern Alaska in luxury and extreme comfort. Our lodges are located in remote areas of the Alaskan wilderness, close to the gateway into the Katmai National Park and Preserve. 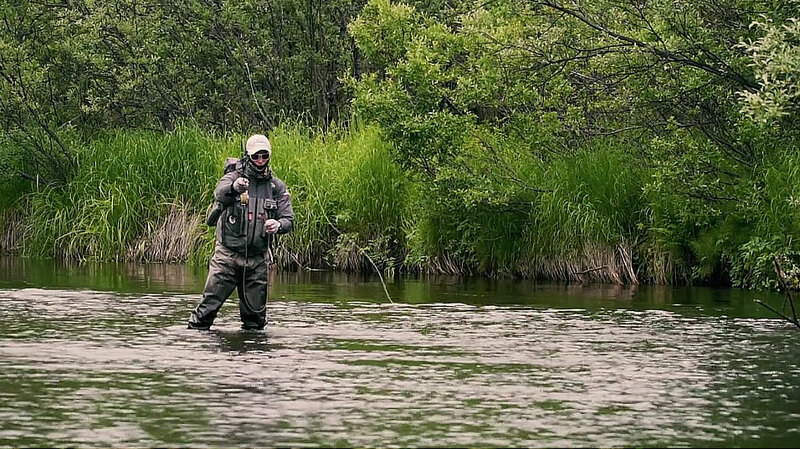 The Alaskan Sportsman’s Lodge is the king of all Alaska fly fishing lodges. It is located 4 miles from Lake Iliamna on the Kvichak River. The ice cold and crystal clear waters of wilderness streams flow across the Alaskan tundra as they travel from the mountains to join the mighty waters of the Kvichak River. There are no other Alaska fly fishing lodges that are located this far away from the populated sport-fishing areas. Our lodge is intimately nestled among these remote and wild snow-fed streams that meet the Kvichak River as it flows past the front porch of our luxury lodge. Bear Trail Lodge is a full service fishing lodge that meets the definition of rustic, wild, and remote luxury. In 2005, Orvis deemed this lodge to be the best of Alaska fly fishing lodges in North America. This lodge is located on the banks of the rushing Naknek River, which was hailed the best river for trophy Rainbow Trout. As this river finds its way from the Katmai National Park and Preserve to the Bristol Bay watershed area, fishermen can find all 5 species of salmon, in addition to its famous Rainbow Trout. The fish that swim past the front door of this 5 star luxury fisherman’s haven are big, fast, and feisty; the perfect dream for any fly fisherman. Both of these all inclusive, Alaskan fly fishing lodges, have prime fishing spots within walking distance from each lodge. Our guests are able to choose between fishing the lucrative waters near the lodge, or capitalizing on the opportunity to embark on a fly-out fishing trip. Those that choose to stick around the streams, creeks, and rivers near the lodge are able to fish in solitude, without having to battle other fishermen for a place on the bank to cast their line. Our fly-out trips are part of our package, and are unforgettable. Not only are our fly-out expeditions exciting, they are far better than fly-out expeditions provided by other lodges. Because both of our remote lodges are located so deep in the Alaska wilderness, a fly-out trip does not require much time in the air. Instead our guests can enjoy plenty of fishing time with our expert guides. In order to guarantee that our guests learn as much as possible, we keep things intimate by providing one guide for every two guests. Please call us today to book the most amazing experience. Come walk next to Grizzlies, and cast a line under a soaring bald eagle. We guarantee that you will make memories that will last a lifetime.